Artificial Intelligence (AI) is usually associated with helping humans with tasks that are either mundane, or can be done better with automation. But Indian cinema has taken the power of AI, especially the robots, and has given it a plethora of roles — from the antagonist, protagonist, the romantic, to a lethal weapon capable of machine learning. Here, we have listed out six incredible examples from Indian cinema that made all of us cringe with embarrassment. Named after a video game antagonist in the film, this Shah Rukh Khan and Kareena Kapoor-starrer left many wondering as to how characters from a game jumped into the real world. While Ra.One is the villain, G.One (sigh) is the “hero” of the game, who can shift shapes, assume identities and save people from a crashing train. Seriously. 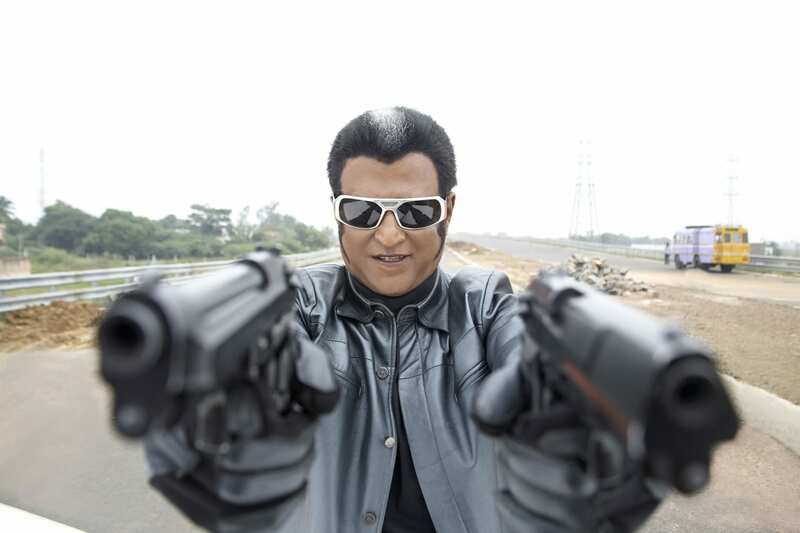 Tamil actor Rajinikanth’s 2010 action film was hailed as another masterpiece by his fans, but people from IT backgrounds were left baffled as to the massive progression of the robot Chitti’s behaviour. From falling in love with his creator’s girlfriend, to putting himself together after being dismantled, Chitti the robot even manages to duplicate himself hundreds of times over and use himself as a wall, a ball and a giant magnetic cube wherever needed. Can any machine learning theory explain this? Before the verbal spat and name calling between actress Kangana Ranaut and actor Hrithik Roshan, they had starred together in this Krrish (2006) sequel. While it is showcased that the hero Krrish’s superpowers have been transferred to him by an alien, the antagonist Kaya is shown to have an odd combination of robotic, shape-shifting and human qualities. What robotics, machine learning or even superhero theory can explain this? Twin brothers living in the US fall for the same girl. The shy brother (and scientist) decides to build a “dashing” lookalike robot, so that the girl would fall for him, instead of his brother. Starring Upendra in the lead role with veteran actor Anant Nag in a supporting role, the film showcases how the robot tries to woo the girl with his strength, personality, but ends up falling in love with her. One too many times, we think. A man who’s working on a car patent dies wrongfully, but haunts the car. The car then goes on to take “revenge” on his killers by performing a series of gravity-defying stunts, displays great ability for machine learning and other automative intelligence. Need we say more? Directed by critically-acclaimed filmmaker Sujay Dahake, the film’s wafer-thin plot revolves around a student who is obsessed with building a robot. But when he is jilted by the love of his life, the protagonist decides to “make” a robot who looks just like the her. But things go wrong when the beautiful robot displays negative character streaks. Programming issues? Here is a video of a robot, dancing to the tunes of a badly-dubbed Hindi song, the origins of which are yet to be determined on the web.